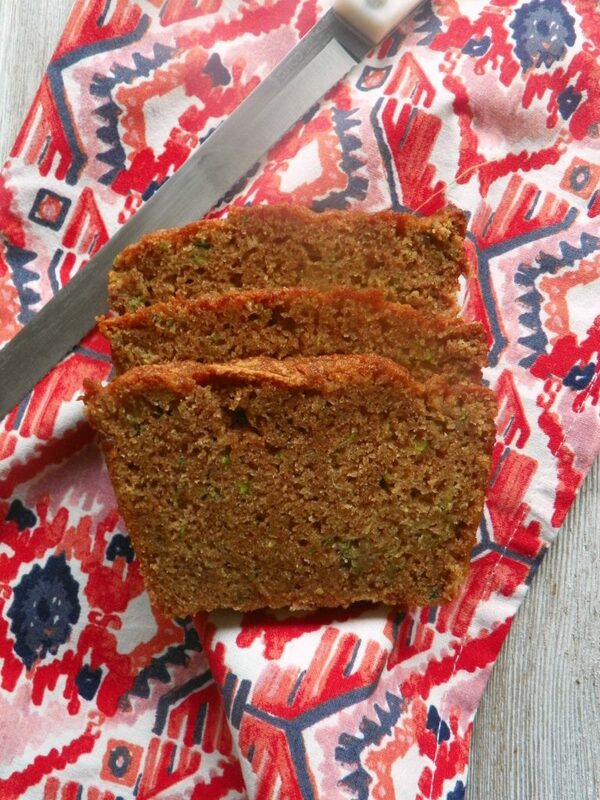 Looking for the best zucchini bread recipe on Pinterest? This is perfection on a plate! 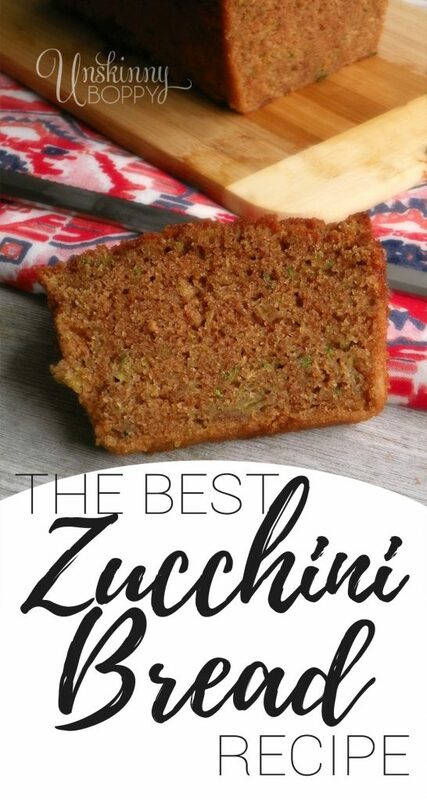 A great way to use up all that zucchini in your garden this summer! It’s that time of summer when my garden is overflowing with zucchini and I’m over here Googling 101 Ways to Cook Zucchini Without Gagging Your Family. 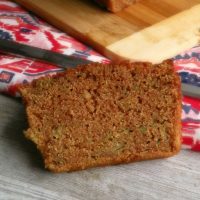 Hopefully this post will shoot to the #1 spot of that Google search soon, because this Crazy Good Zucchini Bread Recipe is the absolutely the best-tasting way to use up all that zucchini that is sprouting in your garden right now. 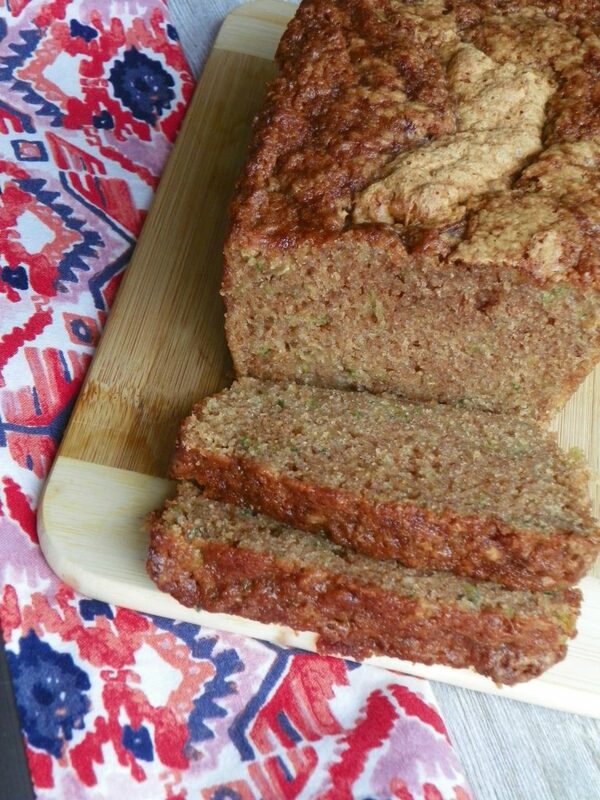 There is nothing better for breakfast on a lazy summer weekend than warm, cinnamony sweet zucchini bread fresh outta the oven. Zucchini is loaded with Vitamin C, Vitamin A, potassium, folate, and fiber, but there’s only so many ways you can bake it, broil it, saute it or grill it until it starts to taste the same. But if you grate it up and toss it into a soft loaf of cinnamon bread, and it becomes the greatest way to sneak some vegetables into your kid’s mouths. 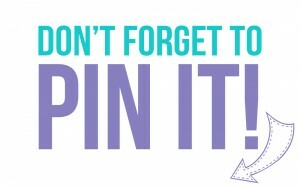 Just try to ignore all that white flour and sugar they are consuming along with it. Makes 1 large or 2 small loaves. Let cool in the pan about 10 minutes, and then remove to a wire rack to cool completely. This recipe tastes like your mama loves you. Almost as much as she loves growing zucchini.